Inspired by the seasons and sourcing the best – from the hedgerow to the harvest. Now, we are absolutely mad for BBQ meat and pulled-anything to be quite honest but I have to admit that with the popularity of pulled pork sandwiches nowadays – no wedding or event seems complete without them – I was ready for something fresh. 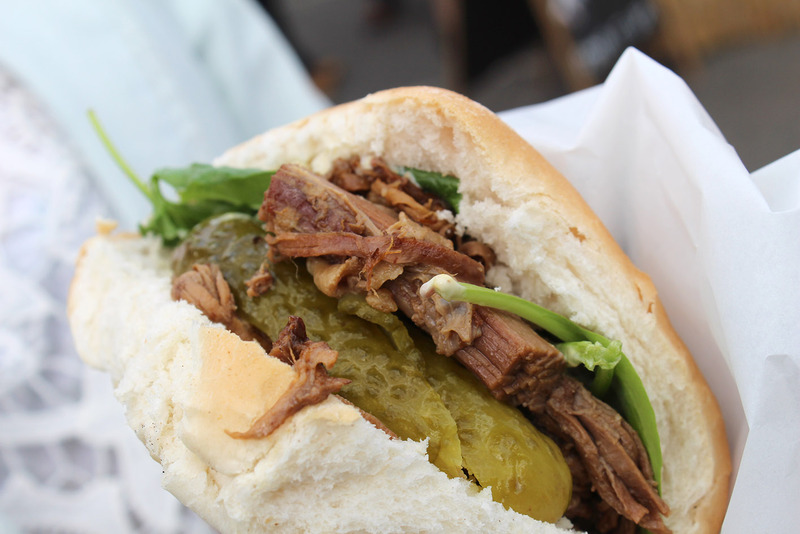 The pulled beef sandwiches from Field and Forage were just that. Perfectly moist, not too fatty and complemented by a good choice of well-designed fillings. These included ‘The Classic’, pulled beef with creamed horseradish, ‘The Hot One’, pulled beef with homemade salsa, jalapeno and sour cream, and ‘The Hipster’, pulled beef, spring green salad, wholegrain mustard mayo and a sliced pickle. We started with ‘The Hipster’ which was right up my street. A classic combination, the mustard and pickle were just strong enough without overpowering the beef. 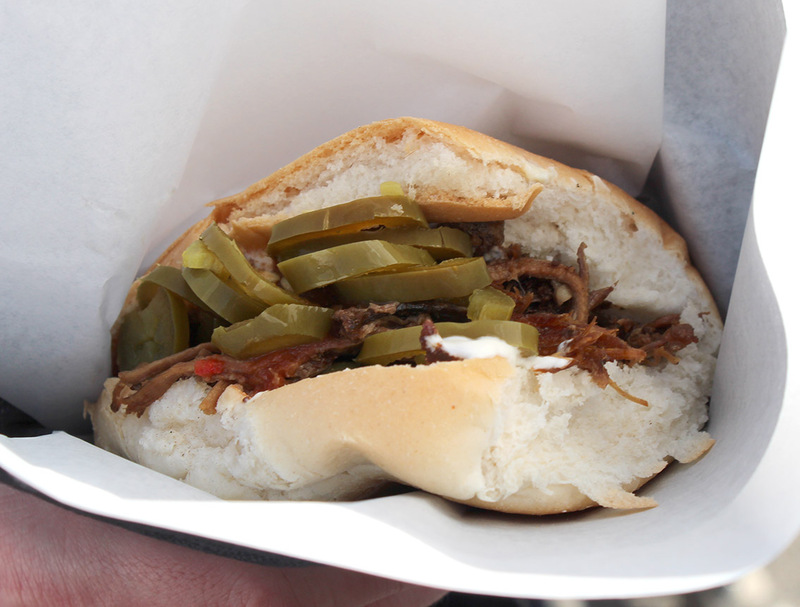 They provided a fresh counterpoint to the deep beef – perfect for a sunny day. I have to admit we enjoyed it so much we later went back, after a couple of beers in the Bad Seed Brewery tent, to try ‘The Hot One’ which again was delicious with a completely different flavour. The menu was especially well thought out with three different choices that all worked well and complemented the beef nicely. A nice change from the standard……with cheese, with cheese and bacon etc. Field and Forage are a catering business providing fun, delicious food experiences at any event. They were serving out of a retro, silver trailer with a great presentation overall. 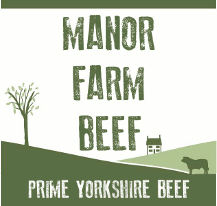 They use seasonal and local ingredients along with beef from their supplier, Manor Farm Beef. The beef for these sandwiches, which I think was pedigree Belted Galloway, comes from local supplier, Manor Farm Beef. Their cattle are specially bred and grass fed to produce the best possible taste and texture. They are all born at Manor Farm and spend all of their lives grazing lush pastures (including Burton Agnes Hall) within a few miles of the farmhouse before going for slaughter at 30 months (as opposed to the industry standard of 16 months). I have to say the beef was something special. It had a good strong flavour but was still soft and moist. 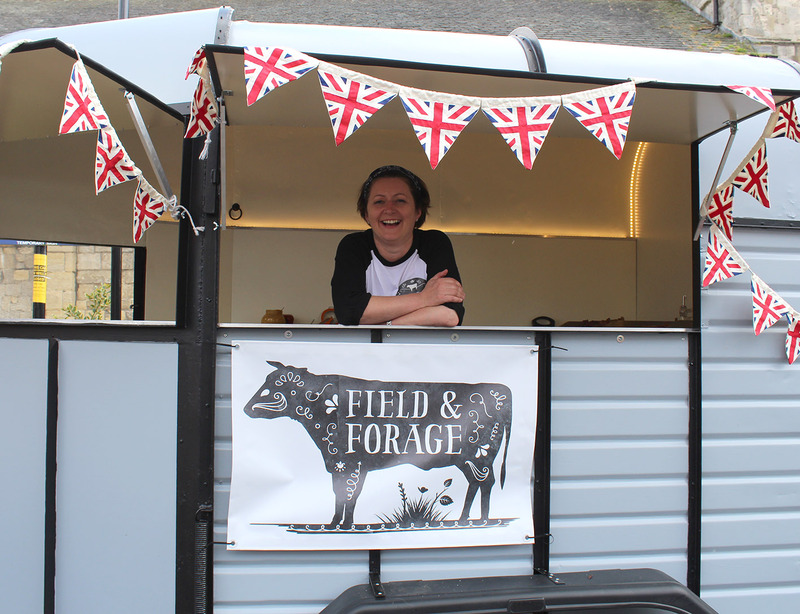 Field & Forage spoke to us about how the slow cooking process combines with the breed and cut of the meat to create a succulent but leaner pulled beef. This works for me as I’m not a big fan of the mouthfuls of fat you can sometimes get in similar products. 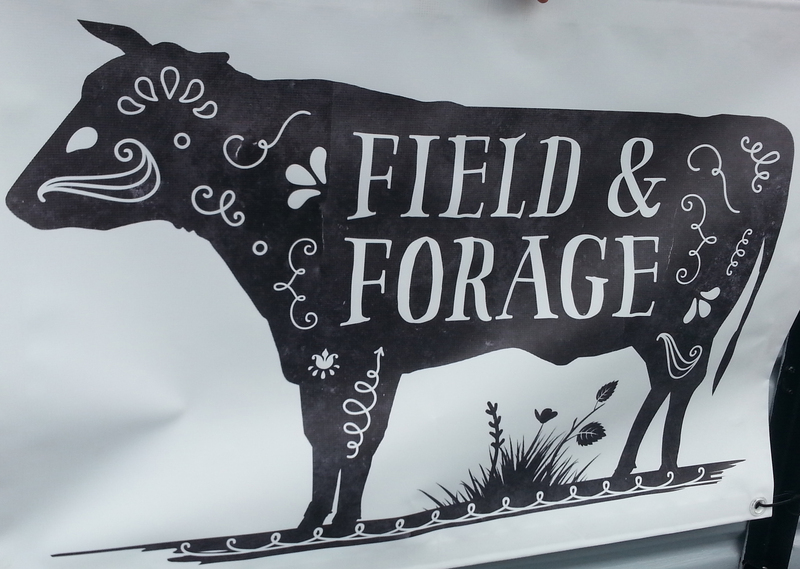 Overall, Field & Forage were super-friendly and knowledgeable with delicious food. I’d definitely recommend them.